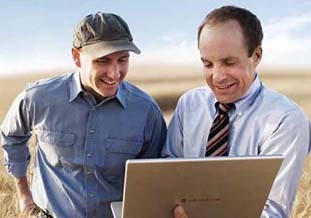 "I needed a tractor that was simple to use, but very powerful. I found it!" Compact and simple to use, with superb performance. 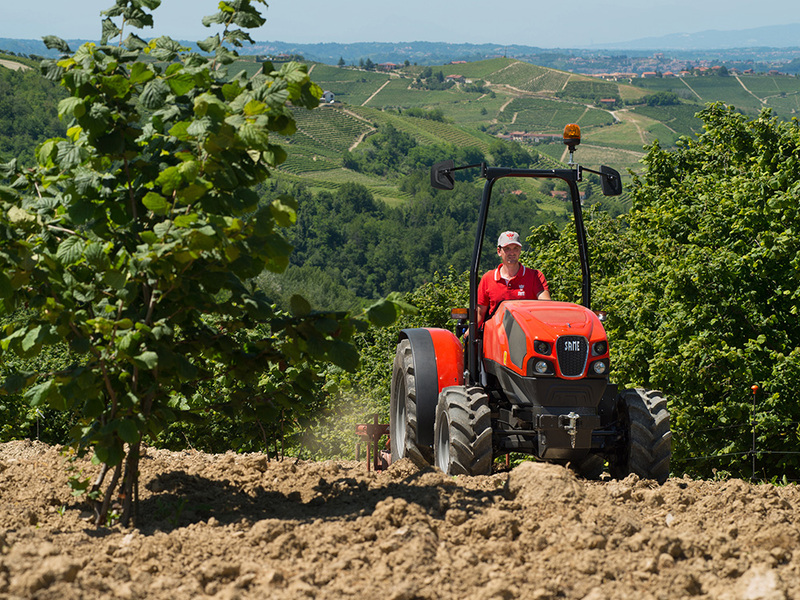 The Frutteto Classic range of tractors are at the cutting-edge of the specialised tractor market, and represent the ultimate in performance for machines equipped with classic synchronised-gear gearboxes and mechanic-type hydraulic controls. Indeed, these models are the next incarnation of the Frutteto³ Classic range, inheriting the lowered driver's seat from the latter, with a new, updated design, which includes the super-modern FARMotion engine and an even more efficient Overspeed function.This package of innovative new features further improves the excellent handling qualities of these machines, building upon the high manoeuvrability, comfort and economy of operation of previous versions. The new FARMotion engines represent the beating heart of the Frutteto Classic. 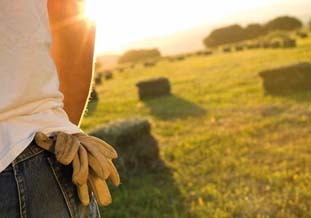 This family of engines is designed specifically for agricultural use, guaranteeing even higher levels of performance and reliability along with low costs of ownership. The special features of these engines include the electronically-controlled high-pressure Common Rail injection system (up to 2000 bar), and optimised 962 cm³ cylinder capacity. Available with either 3 or 4 cylinders, these engines dramatically improve the compactness, manoeuvrability and pull capacity of the new SAME Frutteto Classic range. The innovative range of design solutions ensures compliance with Stage 3B standards, obtained through the single DOC catalytic converter, which does not require periodic regeneration or routine maintenance. The ideal gearbox, both for field and road use. The mechanical gearbox with 5 gears across two ranges and the underdrive and supercreeper gears are combined with a synchronised mechanical reverse shuttle, which together lend the Frutteto Classic ratios a superb scalability, both when travelling forwards and in reverse, for optimised performance and wheelbase. The various versions offer from 20+10 to 30+15 speeds, reaching speeds of 40 km/h, even with tyres on rims measuring only 20". On versions with tyres measuring 24"or 28", the Overspeed technology allows the Frutteto Classic to travel at speeds of 40 km/h with the engine in economy speed mode. Conversely, at the rated engine speed, the supercreeper provides 10 ratios between 0.21 and 1.02 km/h. In other words: an extremely precise selection of gears for operations which require very slow speeds! 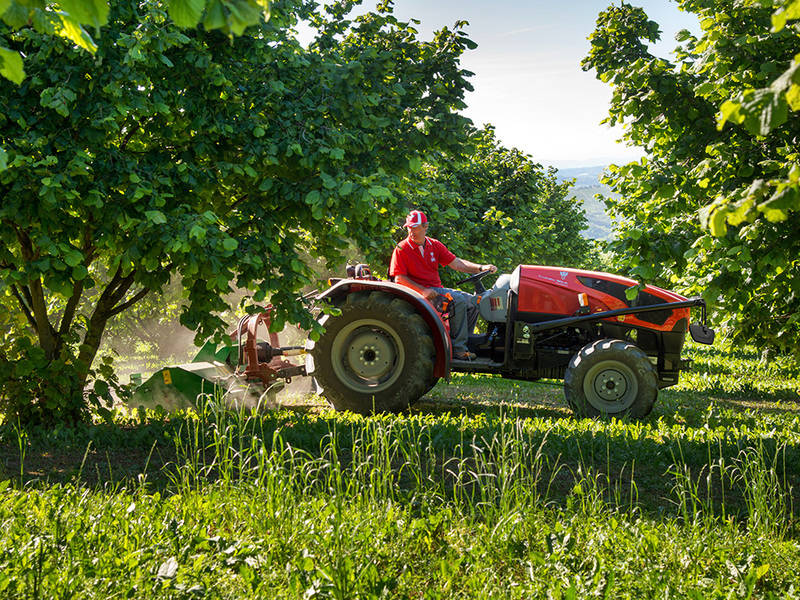 The new Frutteto Classic stands out among other tractors in its class for its super-modern design, along with its 60° steering angle, optimised wheelbase and exceptional manoeuvrability, thanks to the FARMotion engines used on all models in the range. 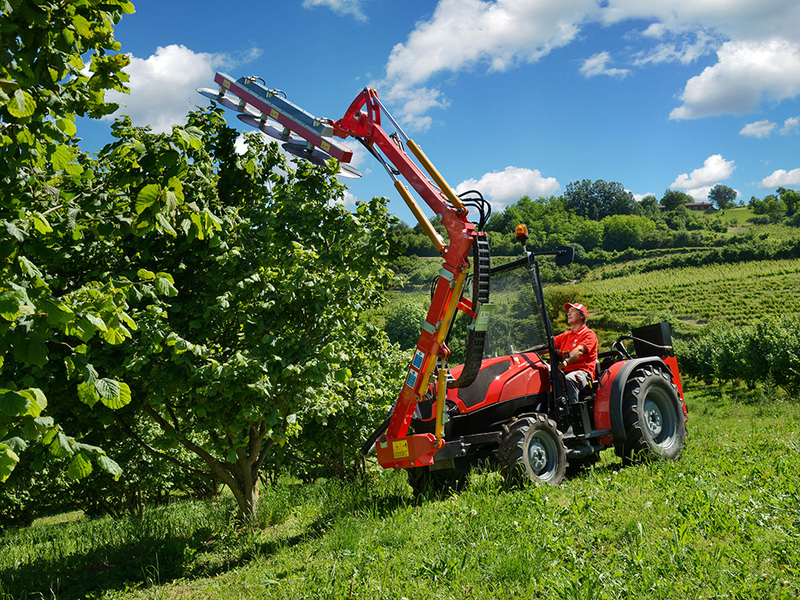 The structure of the machine has also been optimised, with two robust axles and a newly-designed front support and monolithic hood, enabling Frutteto Classic tractors to operate profitably even under difficult conditions. The rear lift boasts a maximum capacity of 2,800 kg, making it ideal for use with even the heaviest equipment. The PTO is designed to meet all power requirements regardless of the conditions, with maximum efficiency: the speeds available - 540, 540ECO and 1000 rpm - ensure that all operating machinery functions smoothly. In addition, a synchronised PTO is also available. 4 or 6-way hydraulic distributors and the 3-point quick coupler complete this superbly-equipped range of machines. The new, updated style is a key feature of the new Frutteto Classic range: every detail of the hood and nose has been completely overhauled. The new driver's seat of the Frutteto Classic offers superior comfort, space and high levels of safety. SAME has always been dedicated to providing operators with a workspace which is uncluttered, spacious, comfortable, ergonomic and intuitive. For precisely this reason, the gear levers are all located on the right side of the seat, providing easy access for the operator. The suspended pedals and adjustable steering wheel ensure that the correct driving position can be achieved for operators of all heights, whilst the special transparent polycarbonate deflectors protect against dirt and noise, whilst providing excellent visibility of the front wheels. Another important element in the active and passive safety of the Orchard Classic is the integrated braking system, featuring disc brakes on each wheel, provided as standard across the range. Fuel tank capacity 55 L.
Rear tyres 360/70 R24" 380/70 R24" 380/85 R24" 380/70 R28" 380/85 R24" 420/70 R28"